18/10/18 – Sox has found a home! 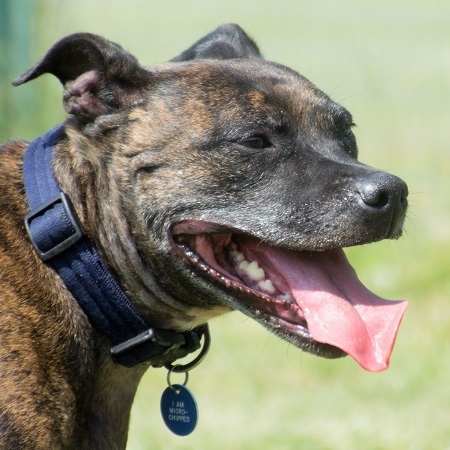 Sox is a lovely, female, 8 year old, brindle Bull breed who was rehomed by the RSPCA Danaher Animal Home but, sadly, has come back into rescue after her adopter became too ill to be able to care for her. 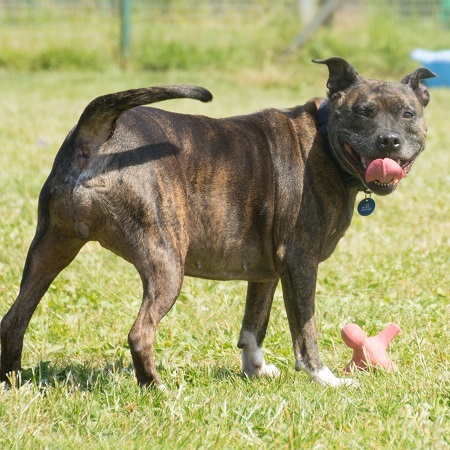 Sox was a much loved companion and she has two loves in her life: toys and cuddles. 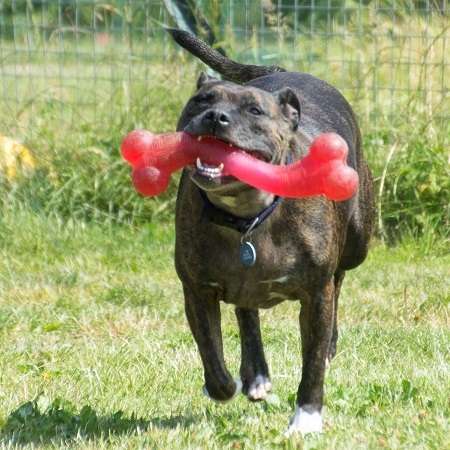 She adores her toys and needs a home that will have a ready supply please. In between playtime, she loves a cuddle too. 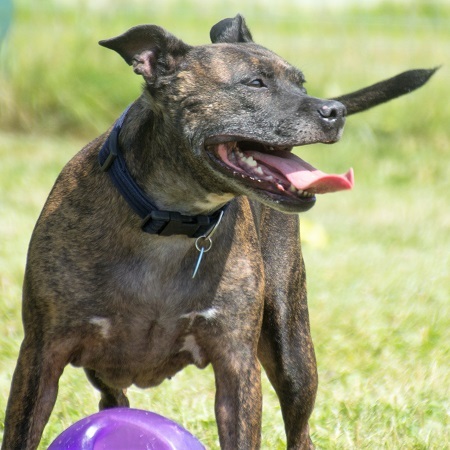 Sox is full of energy and would love a home that gives her plenty of opportunity to burn some of it off with walks and playtime. 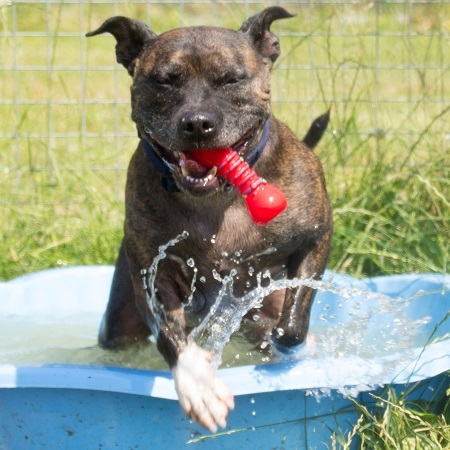 She could live with children, although not very young ones as she is a little bit bouncy and can get over-enthusiastic about her toys. Sox isn’t terribly confident with other dogs and this is being worked on. She is getting better but she would be best being the only pet in the home. Sox is spayed and is a healthy girl with no known medical needs. You can watch a lovely video of her here. Please mention that you saw Sox on the Oldies Club website.